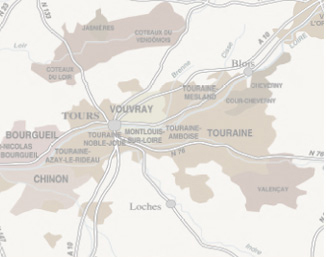 The vineyard is located on the left bank of the Loire river. 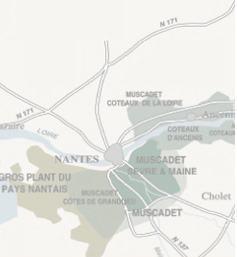 Both the Sèvre and Maine rivers cross this area and delimitate the guaranteed vintage production zone. 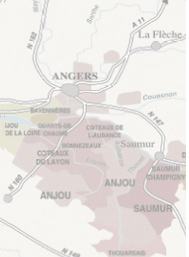 Our selections are issued from several estates situated in Mouzillon or Vallet (southeast of Nantes). Old formation mixed to volcanic stones with a significant part of schist and gneiss (acid rock). 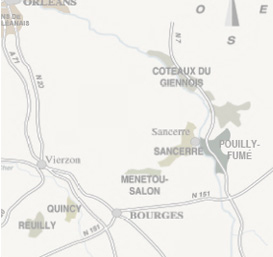 100% Melon, generally known as : MUSCADET. White tinged with straw yellow. 12% volume. Acidity : 4,5 g/l - Sulphur : 35 mg/l (indicative measures). has more body, it takes longer to mature and reveal its roundness and impressive bouquet. It should be consumed cool, between 8 and 10°c.